These homemade rhubarb parfaits are not only packed with flavor, but they’re also quick and easy to make. 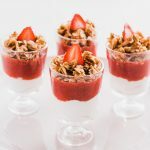 Both the homemade granola and compote can be made ahead, which means these fruit and yogurt parfaits come together in just minutes. 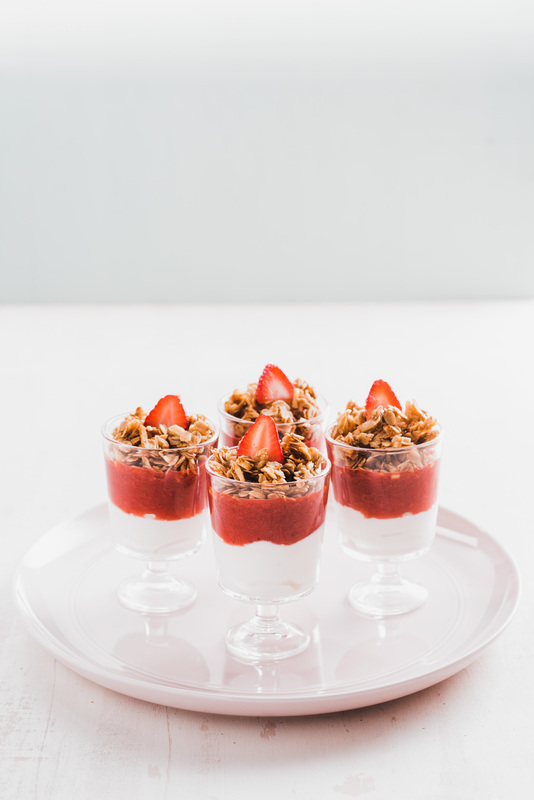 The third installment in the Spring Brunch series here on ZK, these rhubarb parfaits are both easy on the eyes and the taste buds. 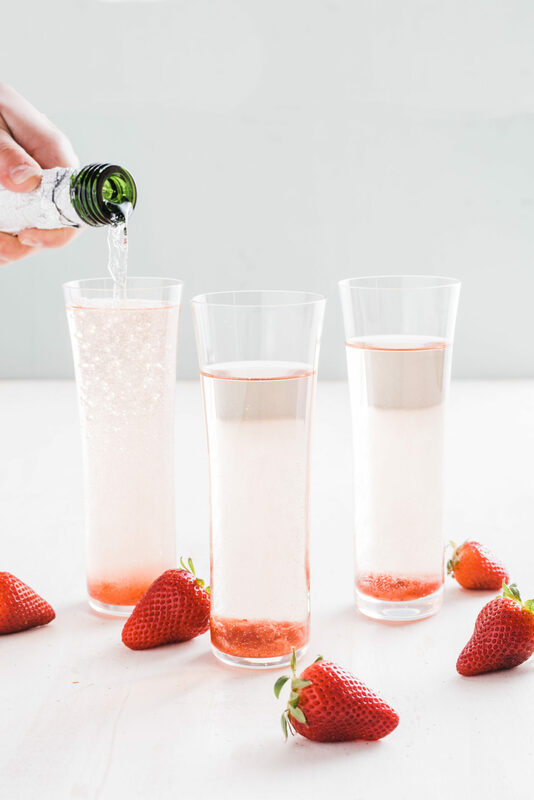 Perfect for a spring brunch, this recipe for Strawberry-Rhubarb Yogurt Parfaits offers a stunning presentation with minimal effort. 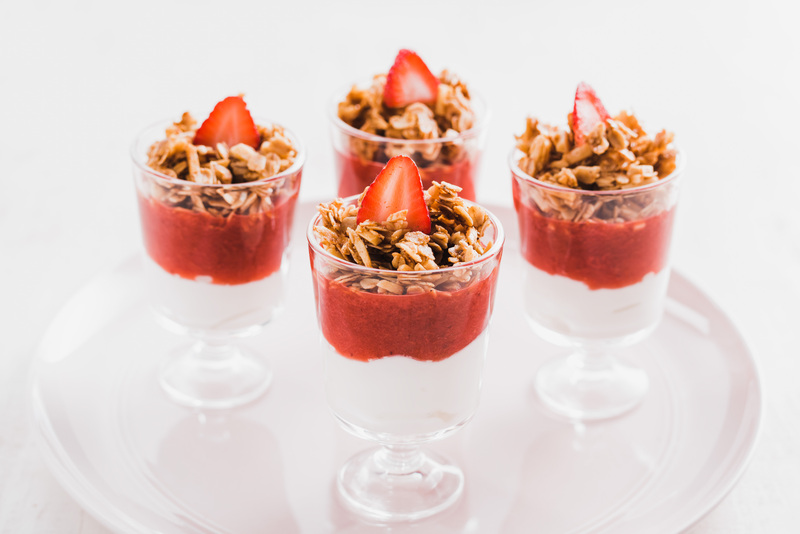 Greek yogurt is layered with a naturally sweetened Strawberry-Rhubarb compote and finished off with a super simple, and equally delicious, homemade Honey & Almond Granola. If you’re looking for another use for the fruit compote, it does wonders drizzled over pancakes, waffles, and oatmeal. And, when you want an easy-to-make healthy snack, this simple honey granola recipe is the one to turn to. 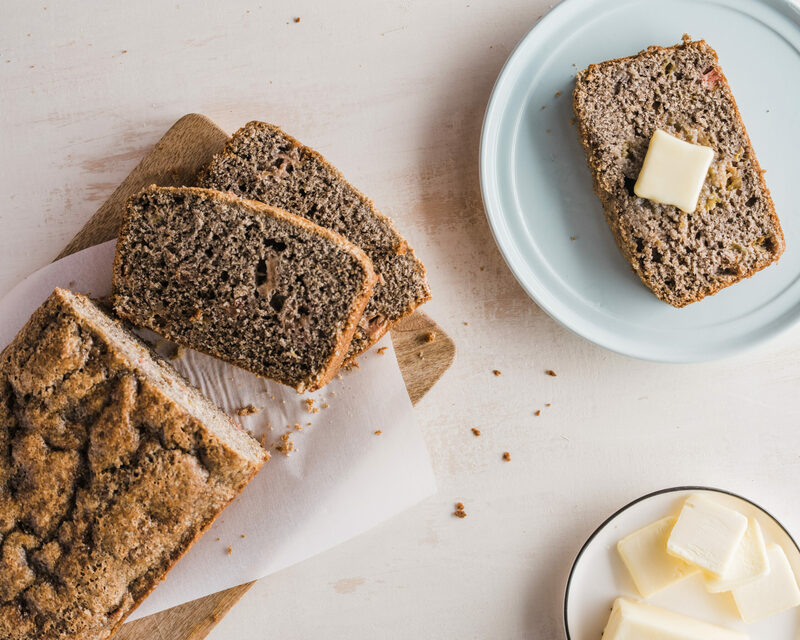 Just seven ingredients and 25 minutes is all it takes. Check out the other recipes from the Spring Brunch series! Thank you! 🙂 I am on board with a sip and see, that would be fun!! They look so delish and are perfect for Spring!